Sometimes you have to get negative to get a better body. No, that doesn’t mean you should plaster on a permanent frown while at the gym. In fact, getting negative will actually have you grinning ear-to-ear, as you watch your body transform. You see, by getting “negative,” I simply mean training “negatives,” or – using the official term – training eccentrically. Eccentric training is an often-overlooked form of training that can have astounding effects of your body, even more than its popular alternative, “concentric” training. Read on to discover what it is, and how you can use it to transform your body. Basically, there are two phases to every resistance training exercise. First, there is the concentric phase of a muscle contraction, which involves the shortening of a muscle. It’s when your chest and shoulder muscles contract when you push up into a pushup, or how your biceps flex during a biceps curl. But there is also the eccentric phase, which is the lowering – or negative – portion of the lift. That’s when you lower yourself back toward the ground during the pushup, lengthening the chest and shoulder muscles. Or when you lower the weight during the biceps curl, elongating your biceps muscles. People usually pay more attention to the concentric contraction. You can see this in just about any gym as people lift weights up in a very controlled manner, then let them sort of flop back down to the starting position before lifting them up again. Controlling the negative phase deserves more attention. Because while concentric training definitely has benefits, you actually develop more strength and growth during the eccentric phase. In fact, a study in the British Journal of Sports Medicine found that when eccentric training was performed at high intensities, it promoted more muscle growth than concentric training. That could be because our body can use up to 1.75 times more weight eccentrically than concentrically – which means we can build more strength because we can use a heavier weight during the lowering phase (1). This is huge in terms of muscle gain, which is important because the more muscle on your body, the more fat you’re going to burn. Also, the extra strength means we’re essentially able to work with weight we normally couldn’t. Not only that, but studies have also shown eccentric strength training can help prevent injuries, especially for those involved in intense training or sports programs (2). We also can’t leave out that one of the major eccentric training benefits is fat loss. Due to the increased muscular tension that comes with eccentric training, we engage more muscle fibers during the lowering phase of exercises, effectively increasing the intensity of any workout. This stems from increased muscle hypertrophy (growth) – studies have shown that eccentric contractions beat concentric lifts for muscle growth. Afterburn refers to the amount of calories we burn following a workout, rather than during. 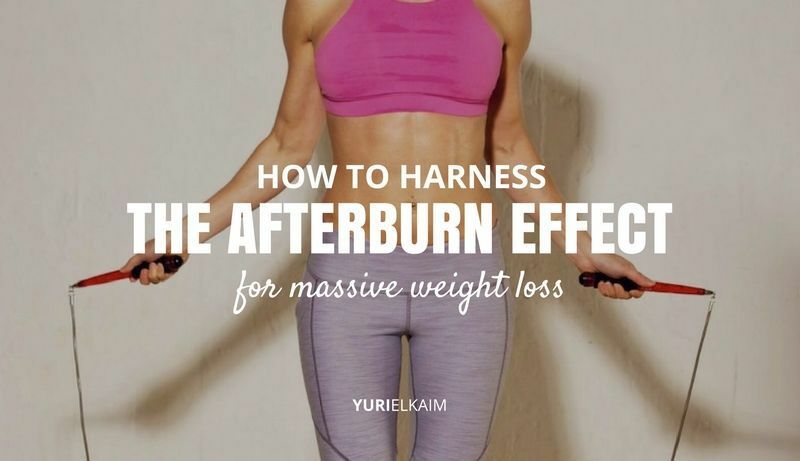 One of the major factors in creating a greater afterburn is training the muscles with such intensity that it takes more energy (in the form of calories) for the body to repair them. This results in more calories burned long after your workout has ended. Eccentric training has a huge effect on EPOC, with studies showing repair lasting for up to 48 hours following a workout (3). One study found that women who did 30 minutes of eccentric exercise per week boosted their resting energy expenditure (a measure of how many calories the body burns over a 24 hour period at rest) and fat oxidation (4). Below are some fitness tips to get you started with eccentric training. Getting started with eccentric training is essentially as easy as focusing on the tempo of the lowering phase of your exercise. For example, if you’re doing pushups, instead of lowering quickly to the ground in order to push yourself back up, focus on lowering slowly and under control, taking about 5 to 6 seconds on the way down. Even if you can’t do a pushup, you’ll rapidly build the strength to improve them by performing only the eccentric portion. The same goes for pull-ups. If you can’t (yet) do a pull-up, find a chair and put it underneath the bar. Now grab on to the bar and jump up to the top, then slowly lower yourself down. Repeat this, and you’ll be performing the concentric phase in no time. You can also do this with squats, lunges, etc … as long as you’re moving slowly while lengthening the muscle. Moving slowly might seem strange at first, as it sometimes seems like you’re not doing as much work. However, by engaging both Type 1 or “slow twitch” muscle fibers and Type 2 “fast twitch” muscle fibers, you can ease your worries over not working the muscle as hard. On a similar note, this type of training is fantastic for beginners, considering that many people find training eccentrically to be easier, regardless of its intense muscle-building effects. This is great for motivational purposes, as you’re more likely to be motivated to work toward pull-ups/pushups, knowing you can lower slowly and that you’re building strength, as opposed to barely being able to lift yourself an inch. 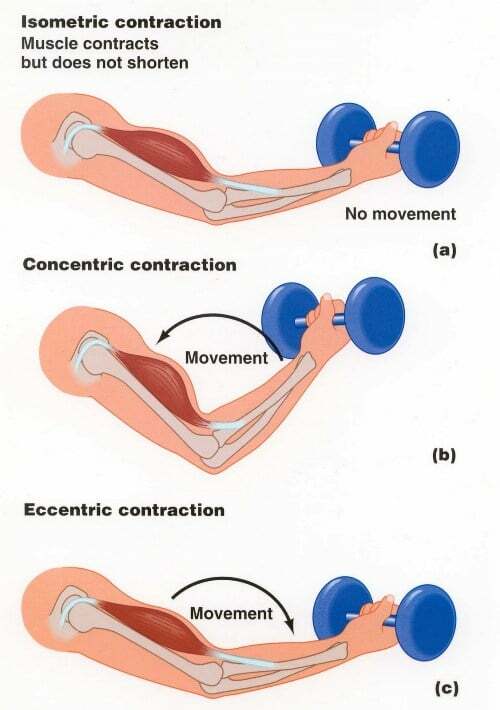 Ok, we’ve spent a ton of time on eccentric training, but remember I said concentric has its place here as well? It turns out its place is right beside (and a little faster than) the eccentric phase of your exercises. For instance, since our goal is to recruit more muscle fibers in order to increase muscle growth and stimulate fat burn, we definitely want to include an “explosive” concentric phase in our exercises. Explosive concentric exercises recruit what are referred to as Type II (fast-twitch) muscle fibers, which studies have shown aid in improving metabolism, insulin sensitivity, and reduce blood glucose (all beneficial when it comes to fat loss) (5). Getting these fibers firing alongside the Type I fibers will provide a double dose of force on the muscles, which of course equals superior results. An explosive concentric phase involves shortening the amount of time it takes to lift during your exercise. For instance, if you’re doing a push-up, you want to “explode” up, taking 1-2 seconds to do so, while instantly lowering slowly back to the ground for a duration of 5-6 seconds. It’s important to know that when you start training eccentrically, you will probably have a great deal of delayed-onset muscle soreness (DOMS) 24 to 48 hours following your workout. This style of training tends to leave some post-workout pain in its wake. But the good news? 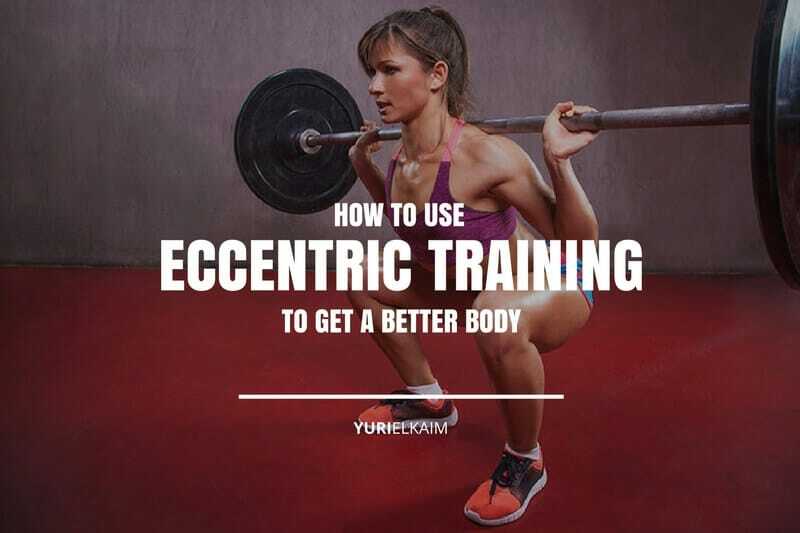 Eccentric training causes such wonderful muscle adaptions that you’ll be more resistant to soreness once your body gets used to this style of workout. For example, studies have found that after high-force eccentric training, participants experience quicker recovery, better performance, less muscle damage, and less soreness afterwards (6). They also experience what is referred to as an adaptation called “rapid training effect,” which means it was less apt to be damaged during other workouts in the future. Interestingly, this adaptation can last for up to six weeks, even when the first bout of eccentric exercise produces little muscle damage. Getting negative may, in fact, be one of the best things you do for building a better body. Want to ramp up your results fast? Get slimmer, fitter, and sexier with my FREE Fat Blaster Workout!